This phase, too, shall pass! If there is one phrase that has helped me more than anything else on my rollercoaster parenting ride, it is this little one. I can’t remember where I first heard it. It might have been whilst trawling through endless respectful parenting forums searching for answers or maybe as I read through the plethora of wise words on Janet Lansbury’s blog. Either way, they have been nothing short of a God send. They are my sanity savers. 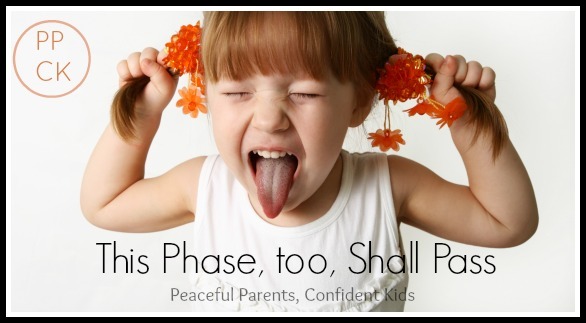 This entry was posted in Parenting Peacefully, Peaceful Discipline and tagged accepting a child for who they are, Building a Trusting Relationship, patience, patience with children, Respectful Parenting on November 13, 2015 by peacefulparentsconfidentkids.